The MTU is the heart of the V5 System 2000. 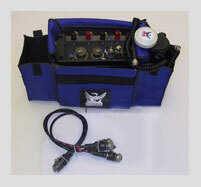 Introduced in the late 1990s, this patented system has now been used at tens of thousands of survey sites worldwide. Flexibility of station spacing from kilometres to tens of metres facilitates cost-effective broad reconnaissance or resolution of fine details in a variety of applications. The MT techniques are excellent supplements to seismic in hydrocarbon exploration, but can also be used alone if logistics or geology make seismic impractical. 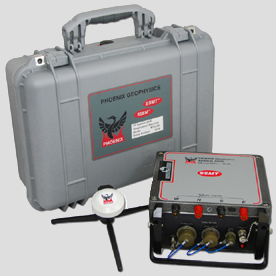 GPS synchronization means that multiple stand-alone units can be deployed simultaneously in almost any terrain, with no need for interconnecting cables. A small number of magnetic channels can be combined with many electric channels to form an economical system of virtually any size. The deployment of synchronized remote reference stations permits sophisticated noise-reduction methods during processing. Several channel complements are available—electric (E) only, magnetic (H) only, or 2E + 3H combined. The units can be purchased for MT alone (MTU) or for selectable MT/AMT (MTU-A). Acquisition setup files are stored on the removable industrial-grade CompactFlash™ card for automatic operation. Data files are stored on the same card for easy transfer to the processing PC.